Last year I was so frustrated with my hair. After years of being natural I just did not understand why my natural curl pattern was not defined because I thought I was doing all the right things. I did not use heat often, I deep conditioned now and then and generally took “great” care of my hair. Thankfully, since I’ve started blogging I’ve become exposed to tons of new information I never knew about hair care. Around January, after months of frustration, I finally got serious. 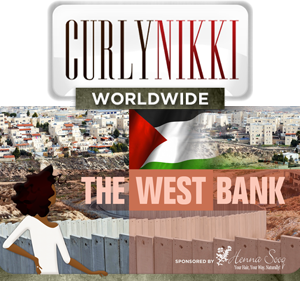 I read everything I could about the science of hair, created a regime and followed it consistently. Last week when I tried a wash & go for the 100 millionth time my results were amazing! 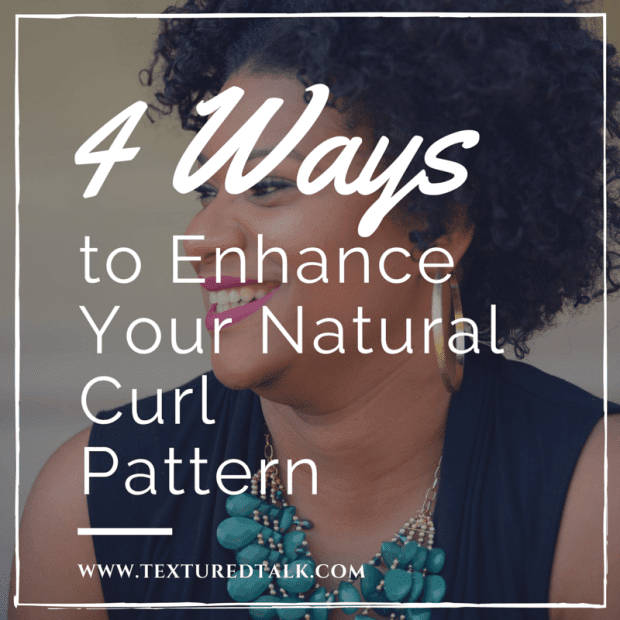 So today I’m sharing 4 ways to enhance your natural curl pattern, all which are super easy to follow. I used these strategies religiously and went from frustration in November to popping curls by June. 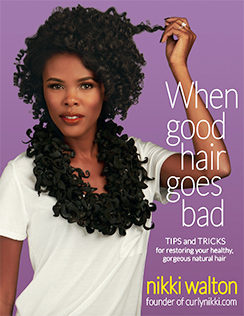 Let go of those ends and let your curls flourish. 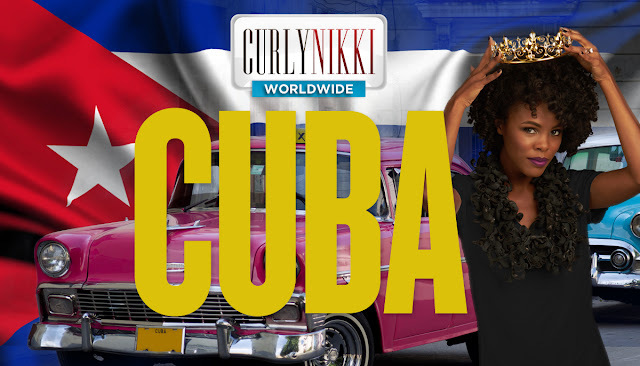 Weak ends will continue to break creating more frustration on your journey to a healthy head of curls. You will also find that after cutting your dead ends completing styles like twist-outs and braid-outs will become a lot easier. 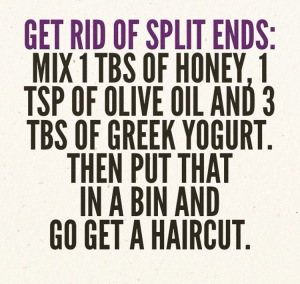 Everything is about balance and moderation and your hair is no exception. Too much protein will make your hair hard with the possibility of breakage just as over-moisturizing can lead to hygral fatigue and breakage because the strands are weak. Elasticity measures the “stretchiness” of your hair. If your hair has a hard time stretching when wet and does not return to its natural state after pulling, your hair more than likely has low elasticity. Research shows elasticity cannot exist when there is an imbalance of moisture and protein. My hair has flourished since rotating between protein and moisturizing deep conditioners every week. Check for ingredients in your deep conditioners such as hydrolyzed wheat protein, hydrolyzed keratin, and hydrolyzed silk protein, which will help restore the needed balance and repair weakness all in one step. 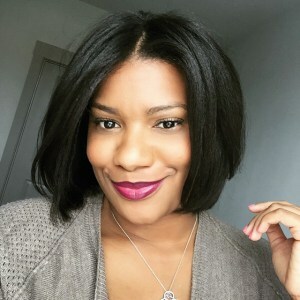 In April I started using the Aphogee 2 Min Keratin Re-constructor once a week in addition to my moisturizing conditioners, which has made a HUGE difference. Not only is my hair thicker, but it is also more curly. This tip is very important but often overlooked because quite frankly it requires you to do a bit more research than normal. In fact, I may be the only person who becomes extremely excited when brands list the pH on the actual packaging. The potential of hydrogen, also known as pH, is the measurement of how alkaline or acidic a substance is and significantly controls how the cuticle layers of the hair react to products. I try to use brands that state their products are pH balanced as much as a I can. If a product does not state its pH level, to define my curls I look for key ingredients in my curl enhancing products such as aloe vera juice. Aloe Vera juice is a great natural ingredient with a low pH of about 4, which is very close to the natural pH of healthy hair (4.5-5.5). I know this will help enhance my natural curls while also closing the hair cuticle. My most recent wash & go product to help enhance my curls is the Curls Gel-Les’C Serum. 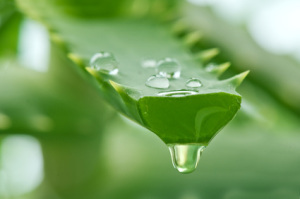 Aloe vera juice is one of the main ingredients. I’m a realist and I know for some women avoiding heat forever is not an option. Using heat is totally fine, especially if used correctly, but from November to June I only blew out my hair about 4 times. I was on a mission to healthy curls so heat was something I had to give up for a while. Train your curls just as you train in the gym meaning consistency is key. The more I wore my hair without heat the more my curls continued to enhance naturally (no pun intended) over time. I also started to moisturize my hair daily unlike when I wore straight styles because I wanted to preserve my blowout as long as possible. If you choose to use heat more often do not skip using heat protectants and always deep condition before using high heat. The key tip to avoiding heat damage is to ensure the hair is properly moisturized from within. 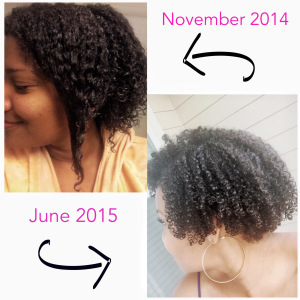 What are some ways you enhance your natural curl pattern? Comment and let me know!